A March of Kings takes us one step further on Thor's epic journey into manhood, as he begins to realize more about who he is and what his powers are, and as he embarks to become a warrior. After he escapes from the dungeon, Thor is horrified to learn of another assassination attempt on King MacGil. When MacGil dies, the kingdom is set into turmoil. 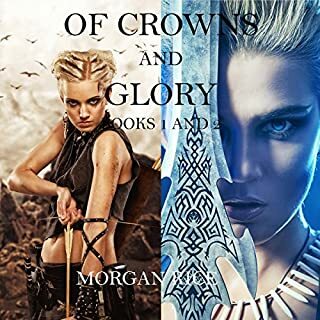 As everyone vies for the throne, King's Court is rifer than ever with its family dramas, power struggles, ambitions, jealousy, violence, and betrayal. An heir must be chosen from among the children, and the ancient Dynasty Sword, the source of all their power, will have a chance to be wielded by someone new. But all this might be upended: The murder weapon is recovered, and the noose tightens on finding the assassin. Simultaneously, the MacGils face a new threat from the McClouds, who are set to attack again from within the Ring. Thor fights to win back Gwendolyn's love, but there may not be time: He is told to pack up, to prepare with his brothers-in-arms for The Hundred, a hundred grueling days of hell that all Legion members must survive. The Legion will have to cross the Canyon, beyond the protection of the Ring, into the Wilds, and set sail across the Tartuvian Sea for the Isle of Mist, said to be patrolled by a dragon, for their initiation into manhood. Will they make it back? Will the Ring survive in their absence? And will Thor finally learn the secret of his destiny? The story was ok but it was Only half a story, it just ended mid stream. Very disappointing. 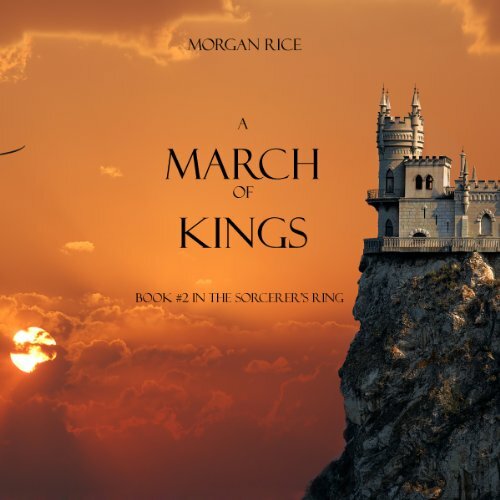 What did you like best about A March of Kings? What did you like least? While the story is good and well written, it 's too short and the ending left one hanging. I actually went back to make sure I'd downloaded the whole thing. So in the end it was disappointing, all I could think was WHAT? Because of this it was only worth 1/2 a credit. I kept waiting for these books to get better. Unfortunately they don't. These plot has alot going on and the description seems promising. But after the 1239812390128390238290382 acceptance of death on many different characters' behalves I can not go on. The author picks one phrase and uses it over and over again. The narrator speaks very slowly but his voice is okay. Not worth it. the story is enjoyable, the characters are engaging and sympathetic. you do have to suspend disbelief a few times, the worst here is the fact that a king, specifically one who just dodged an assassination attempt, is left unguarded for no apparent reason. however, if you dont take this too seriously its fun. i do agree with other reviewers that, given the length of these books and the fact that there is no good reason to stop the story (there is no subplot that resolves at the end of the book), it seems that the story is fragmented for the purpose of costing more. I'll wait for a sale before getting more volumes. If you liked book 1 you will like this, but at 6 hours it is not worth 1 credit. 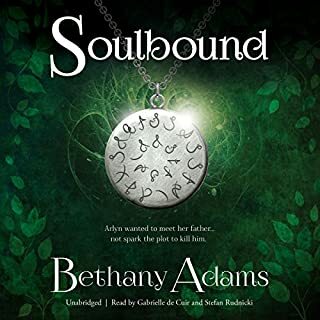 Personally I bought the kindle book for 3.99 and added audible for 1.99. Still too short for the money, but better than wasting a credit. Great stories, just too short per book. these are great stories with great performance. if I had anything to say about them I didn't care for his that is broken into too many books making the stories very short. and the only reason I say this is because I listen to a lot of books while I travel. I stupidly assumed this story had to get better. it didn't. I bought the whole series, so I feel obliged to keep listening. it's becoming self-torture at this point. some of the author's favorite words; hardly, ever, never and it seems that everyone's heart is always pounding. I'm hoping he took a 5 year sabbatical and pursued a literature course catalog at a reputable College before he wrote the third in the series as the storyline shows great promise. Great book 2 - Best sci/fi/fantasy series ever!!! What did you love best about A March of Kings? This book picks up right where book 1 left off. 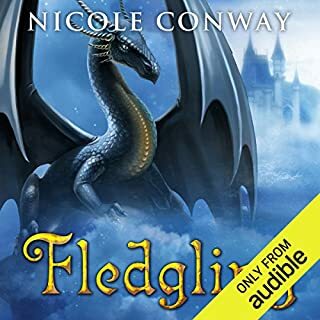 If you liked book 1, you have to listen to this one. The story just keeps on Rock'n. So much happens in this book. It's so captivating and entertaining. It's just as good as the first book. This is the best series ever! It's a 10 book series. 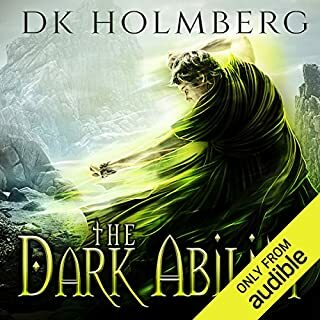 I hope audible produces audio books for the other 8 books soon. Have you listened to any of Wayne Farrell’s other performances before? How does this one compare? Wayne Farrell is freak'n awesome! 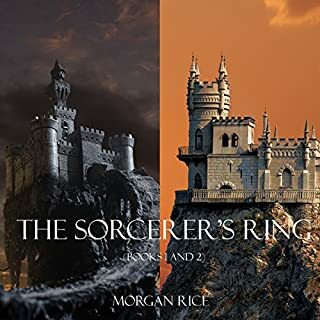 I love his reading of "A Quest of Heros", the first book in the Sorcerer's Ring series. He does such a good job. He's truly talented. This series is the best I have found in a long time. please get the next one out ASAP!!! love it!!!! always been a fan of these books. keep up the great work Morgan Rice. The time frames jump around occasionally detracting from an otherwise brilliant story with some distance to travel. 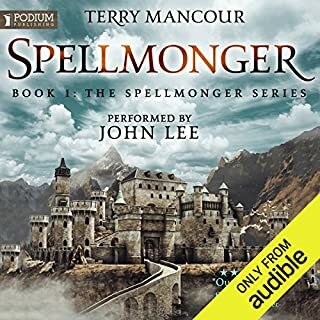 Weak characters, failing strory, and not much imagination put into this book. Look out for the frightful lack of consistency within the story... Quite Monotonous. This book and the 1 previous helped me escape into another world. looking forward to hearing more about Thors journey and also whats happening at Kings Court.